This guidebook provides an overview of the procedures to make chambers applications, as set out in Part 8 of the rules. Applications are used to ask the court to resolve issues that come up in your case before the trial. Depending on the type of application you make, an application may result in a court order or a final decision in your case. This Guidebook describes the steps you take to prepare your affidavit. We use affidavits to present evidence to the court. Sometimes, courts hear evidence from witnesses who give their evidence in person, orally. However, for evidence without a witness – like receipts, photographs, or personal accounts of facts in the case – you must present your evidence by affidavits. This booklet explains how you can resolve your case before it goes to trial. Only a small percentage of cases go to trial, as most disputes are resolved before reaching that stage. The ways that can happen are discussed in this guidebook. It is important to think about settling your case; lawsuits are time-consuming and expensive and your costs increase at every stage of the proceeding. The discovery process is the way you (and the other party) discover the other side’s view of what happened in the case. This process is like a roadmap allowing you to see the other side’s version of when and where things happened. This guidebook provides only a general overview of the rules that apply if you are involved in a case that was commenced by a notice of civil claim (called an “action”). Note that the discovery process is not available in claims started by a petition. Also, note that different discovery rules apply if you are proceeding by fast track litigation (see the guidebook, Fast Track Litigation). The purpose of a Case Planning Conference (CPC) is to bring the parties together early in the litigation to talk about how the case will proceed. A CPC is not mandatory, but may be requested by the court or either party when the pleadings are completed. These conferences, held by a judge or master, will ensure that cases keep moving forward in a way that is consistent with the proportionality principle. (The number and length of legal processes allowed is proportionate to the amount involved, the importance of the issues in dispute, and the complexity of the case). The purpose of a requisition is to make a request to the court or court registry. 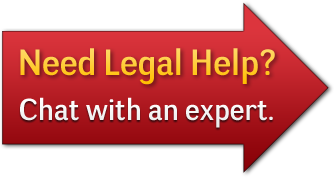 In most cases, you do not have to appear in front of a judge or master to make your request. This guidebook tells you when you need to use a requisition and provides examples of two completed requisitions (Form 17).